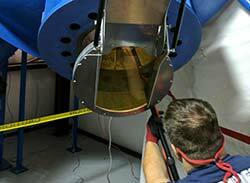 Radium has developed a next generation of radiation shielding technology. Our patent pending ClearView RS liquid solution is developed to be a lightweight, non-hazardous alternative to the industry’s existing heavy and toxic lead shielding. 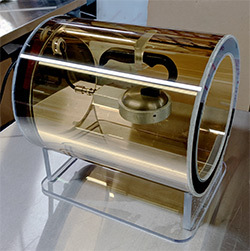 Radium is designing new products in a variety of shapes and sizes to take advantage of ClearView RS’s transparency; enabling shielding in remote and unlikely locations. Most existing neutron shields such as water, concrete, and polyethylene absorb and attenuate neutrons but create high energy gammas, which warrant a secondary shielding. ClearView, attenuates neutrons and gammas at the same time, thereby eliminating the need multiple structures. 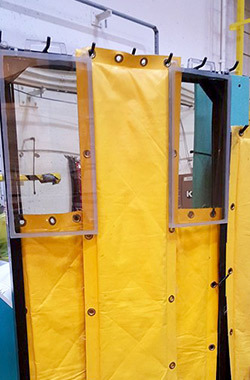 Using impact resistant polycarbonate materials as the housing for the solution, Radium has developed lead blanket replacement panels and steam generator shield doors. 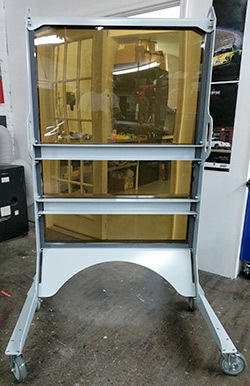 Work task shields and other products are currently under development. 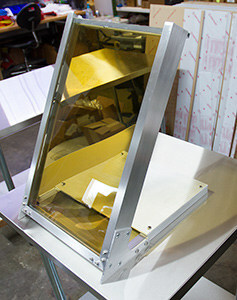 Please contact us for your custom shielding solution. Raman Spectroscopy and ICP – OES performed for Chemical and Material characterization. 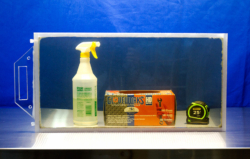 Contents safe as per OSHA and EHS regulations. Comparing for Co60 gammas, lead would weigh 36.4 lbs and ClearView is half the weight. For all other lower energy gammas, ClearView would be more than 50% lighter than lead.